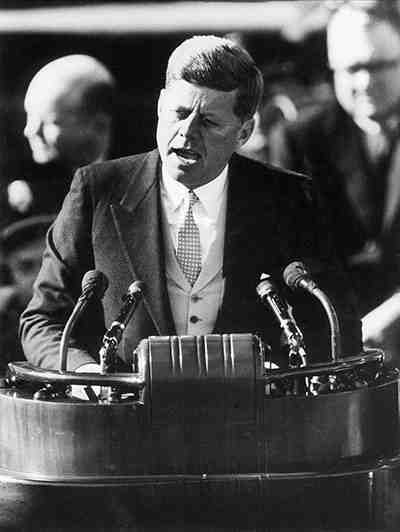 On January 20th, 1961 John F Kennedy was inaugurated as the 35th President of the United States. 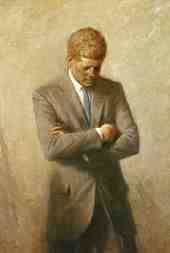 Kennedy who was 43 years old was the youngest man and the first Catholic elected to the office. After a heavy snow, he delivered an inaugural speech that challenged a nation and became the foundation for Camelot. The following is the excerpted end of his address. Now the trumpet summons us again — not as a call to bear arms, though arms we need — not as a call to battle, though embattled we are — but a call to bear the burden of a long twilight struggle, year in and year out, “rejoicing in hope; patient in tribulation,” a struggle against the common enemies of man: tyranny, poverty, disease, and war itself. Can we forge against these enemies a grand and global alliance, North and South, East and West, that can assure a more fruitful life for all mankind? Will you join in that historic effort? In the long history of the world, only a few generations have been granted the role of defending freedom in its hour of maximum danger. I do not shrink from this responsibility — I welcome it. I do not believe that any of us would exchange places with any other people or any other generation. The energy, the faith, the devotion which we bring to this endeavor will light our country and all who serve it. And the glow from that fire can truly light the world.